Zac Little grew up on Ohio, a church-going child who grew to become a preacher. Doing his work in church and at ad hoc events across the The Plains, he later transferred this thirst for speaking into an appetite for listening. 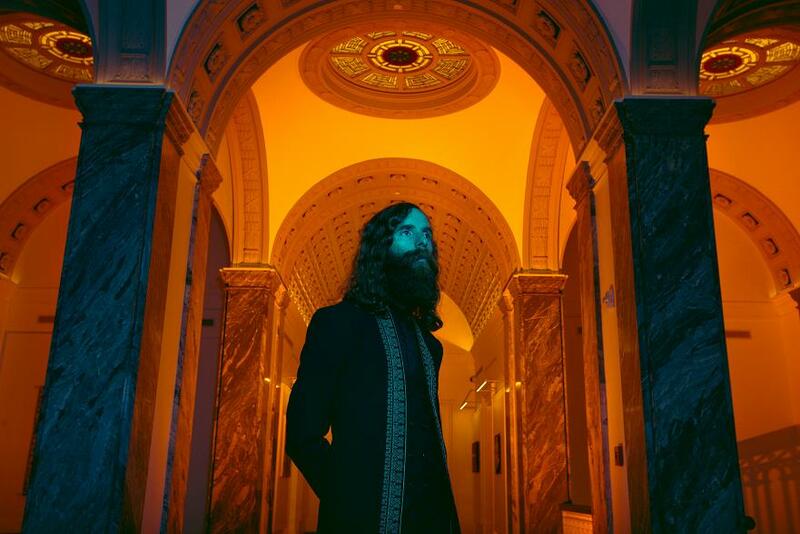 Pushing his energies into music, his work under the Saintseneca bracket has built into a remarkable catalogue. New album 'Pillar Of Na' - there's a Biblical reference for you - finds the songwriter looking ever outwards, absorbing new influences into a sound that retains its inherent classicism. "I wanted to use the idiom of folk-rock, or whatever you want to call it, and to try to do something that had never been done before," Little explains. "To reach way back, echoing ancient folk melodies, tie that into punk rock, and then push it into the future. I told (producer) Mike Mogis I wanted Violent Femmes meets the new Blade Runner soundtrack. I'm looking for the intersection between Kendrick Lamar and The Fairport Convention." New song 'Frostbiter' more than matches these lofty ambitions. Amid the sighing lyrics - "Frostbiter, waster of days..." - lies exotic sonics, moving samples, and a lingering fondness for the bittersweet taste of nostalgia. Zac Little explains... "I think of this song as a big tree trunk in the woods where people carve their messages - initials, jokes, 'I love you' hearts... It is a work of accumulation. A little space absorbing traces of its environment over time. Every mark corresponds to a different story. Some of them are mine. Some belong to others, yet feel all too familiar." 'Pillar Of Na' will be released on August 31st.